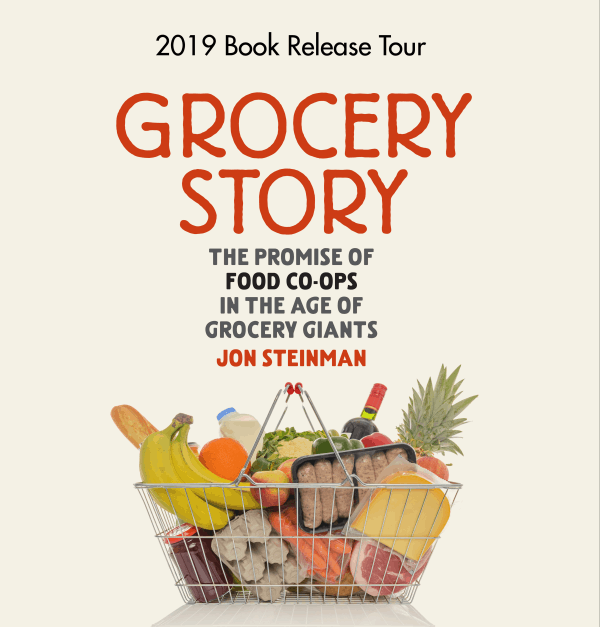 Writer Jon Steinman is coming to Abundance for a talk and book signing in preparation for the May release of his book, Grocery Story: The Promise of Food Co-ops in the Age of Grocery Giants. In the book, he makes a compelling case for how food co-ops, as alternatives to corporate grocery giants, are spurring the creation of delicious local food economies and stronger communities, while changing the global food system for the better. Learn more about the author and the book at https://grocerystory.coop. If you would like an ASL interpreter at this event, please email marketing@abundacne.coop at least a week in advance so we can coordinate volunteers.